VIE Festival inaugurated in 2005 as an attempt to experience contemporary times, discover new identities and individuals in the world of live performance. 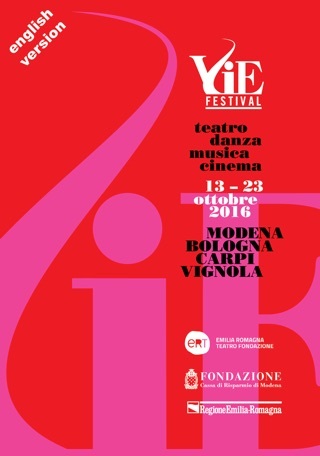 It is an annual event held in the month of October in some cities of Emilia Romagna Region. Organizer and founder is ERT Fondazione Teatro Nazionale based in Modena with the financial support of Fondazione Cassa di Risparmio di Modena. 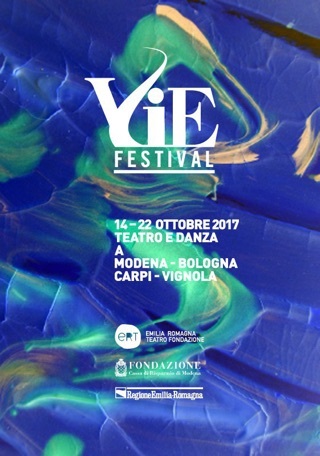 The project issued from the successful experience of Le vie dei festival which, during the decade 1994/2004, has welcomed in Modena from the mid October to the mid December, some of the most interesting protagonists of Italian and international summer festivals. Among them, Carmelo Bene, Thierry Salmon, Lev Dodin, Peter Brook, Maguy Marin, Joseph Chaikin, Philip Glass, Robert Wilson and Peter Stein are worth mentioning. 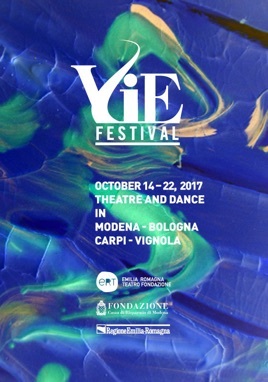 VIE Festival focuses on contemporary creations, offering the responsibility of identifying, of searching for the power of new forces, of finding the artists able to explore the spaces where stage arts get into contact, of discovering the expressive possibilities of interaction between theatre, dance, music, cinema and visual arts. The concept of contemporary is immediately connected to complexity, something moving rapidly in its indeterminateness. Artistic research acts vertically, digging in depth. It does not indicate solutions, it rather raises some doubts. It is inclined to the “uncertain”. Mutual fecundation is a fertile space, a space for always new, original and surprising mixes. The research for new languages always originates from an urgent reflection on the contemporary world, from the need for new contents. The Festival will present a wide range of artists who will find themselves faced with a plurality of spaces, in the aim of showing different levels work, poetry and looks stimulating curiosity and urgencies, including the less codified ones. The number of languages will involve different audiences, in order to overcome the common prejudice, which sees the contemporary as a synonym for unintelligible and exclusive. The Festival also stands out as a place for production or co-production of original works that will be created specifically to access the international network later. In addition to the shows, VIE offers a well-structured program of collateral activities involving the community in readings, debates, meetings, video-installations and conferences.